His critics point to one of his first priorities - the retirement of his number 14 shirt, worn during his playing peak - to illustrate what they feel is his lack of vision. It is easy to see that President Weah is a role model for many young Liberians - growing up in a slum in the capital, Monrovia, becoming one of the world's most famous footballs stars and then going back to school and university afterwards to finish his education before winning the presidency. But he faced some immediate criticism for not leading by example in declaring his assets to the anti-corruption commission - something all government officials must do before taking office, according to Liberia's National Code of Conduct. 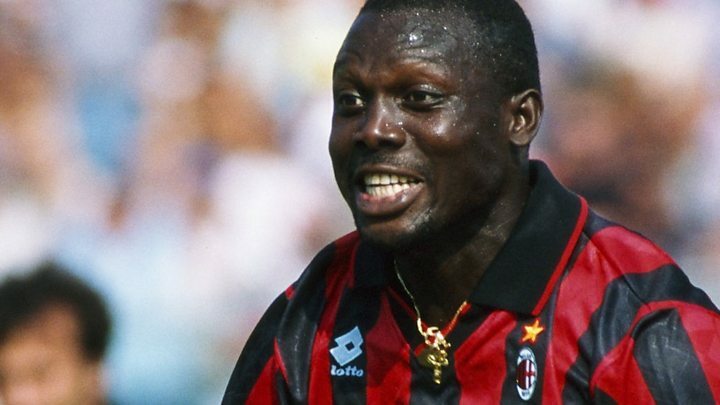 As he inaugurated a community road just before Christmas, Mr Weah roundly rejected those trying to put him down - and said he was used to such pressure. "So anything you say, anything you do to tarnish my reputation - even though I am doing well, you are wasting your time." 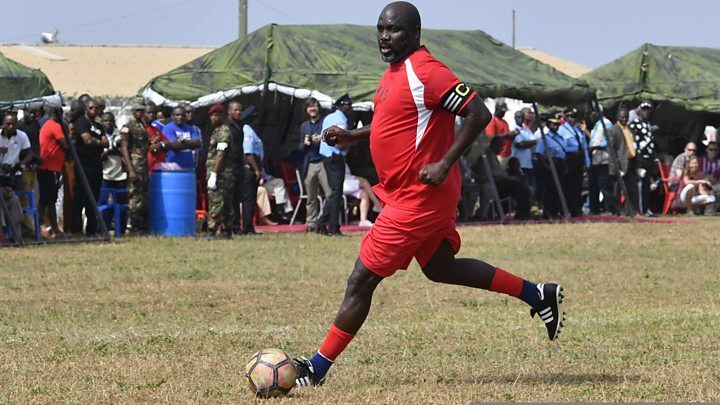 Video Who is George Weah, Liberia's new president?